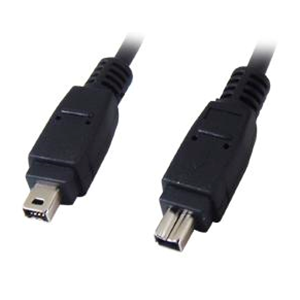 Pluscom’s this 1 Meter Firewire IEEE 1394a Cable 4pin to 4pin Mini connectors provide High-speed data transmission of 400 Mbps. Molded ends for durability and long life. Superior shielding reduces error rates and maximizes data transfer.